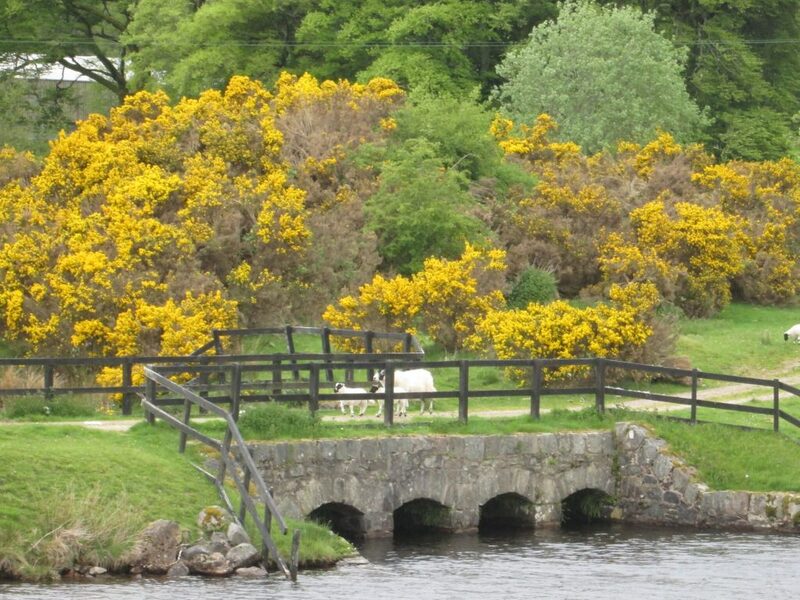 Walking Scotland-An Outlander Experience - Come adventure with me. Castles, mountain tops, trails, sheep, clan wars, lochs. We had it all hiking the Highlands. I met a real Jamie Fraser on my hike through Scotland on the Great Glen Way. 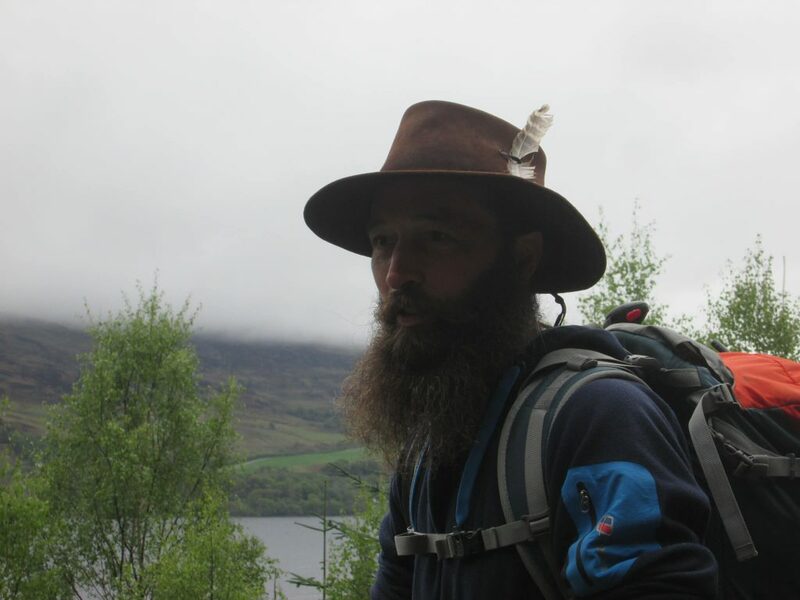 Actually, his name was Steve, and he was our guide on the 79-mile hiking adventure along the Caledonian Canal in the Highlands of Scotland. But he was from Clan Fraser, and his stories as we walked made the famous book series, Outlander, come alive. From castles and battles to haggis and thistle, Scotland’s Highlands offer up a delicious adventure of monsters, lochs, and misty intrigue. The trip started in Glasgow, where I met the other 11 folks I’d be co-leading a hiking and eating adventure through Scotland as an adventure trip leader through Colorado Mountain Club’s Adventure Travel. First stop was the fireman statue at Central Train Station where we met our eating-walking tour guide from EatWalk Tours for a three-hour tour through the streets of Glasgow. This worker city gleams hope as it takes advantage of a boom in the ongoing threat of a pending bust from the upcoming Brexit. None the less, it’s shiny and helpful, welcoming the world with quirky art statues, a fun modern art museum, and delicious food. The stop I loved the most on the walking food tour was the second one at Babbity Bowster. No stop in Scotland is complete without vegetarian haggis (walnuts, lentils, mushrooms!) and a wee dram of whisky. With over 126 distilleries in Scotland alone, you’ll need an expert to guide you through the flavors. Blended or single malt, smokey or peaty, you’ll just have to try them all to find the flavor that you want. I particularly liked the Ben Nevis aged, but seriously, I really think the only way you can go wrong with Scottish whisky is to drink too much! By the way, there’s no “e” in Scottish whisky. With bellies full, we loaded the bus to Fort William, passing by the gorgeous Loch Lomond, inspiration for the song, “You Take the High Road, I’ll Take the Low Road”, and made it just in time for an Indian dinner of vegetable Bhaji at Spice Tandoori in Fort William. Jacobite train blows some steam. The next day, a few friends climbed Ben Nevis, but I chose a more luxurious day about the Jacobite steam train, also known as the Harry Potter train. 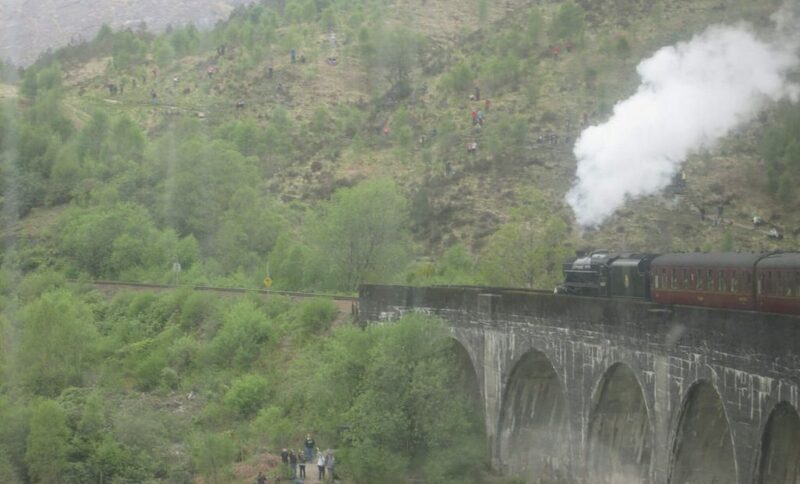 If you’re a Harry Potter fan, you’ve seen the famous train scene where he heads off to Hogwarts over a scenic viaduct. For steam train aficionados, this is the trip for you. For me, I just wanted to enjoy the Scottish scenery and to get a cup of the famous Cullen Skink soup in Malliag. Better than any Boston clam chowder…smoked haddock chowder, also known as Cullen Skink. Don’t let the name, Cullen Skink, turn you off. This amazing smoked haddock chowder will knock your taste buds to the moon–better than any Boston clam chowder, Cullen Skink’s smokey, creamy, deliciousness requires a big bowl and a chunk of crusty bread. 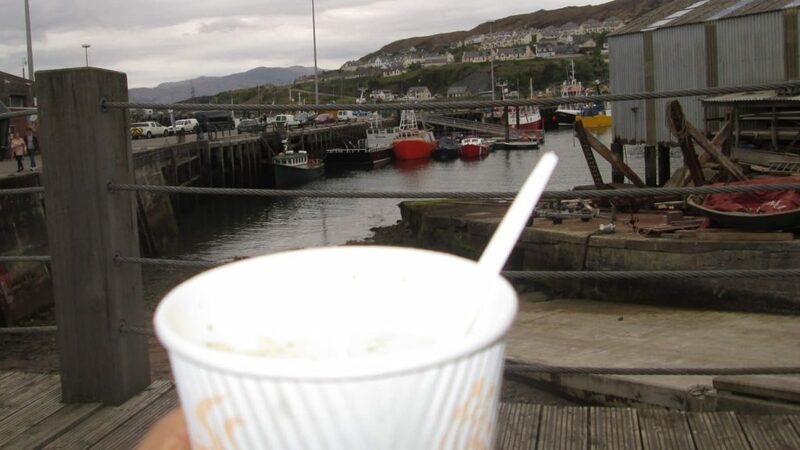 Get Mallaig’s best version in a cup to go at The Fishmarket and eat it overlooking the marina. A barge that originally transported food stuffs, it now moves tourists up and down Scotland’s lochs. The next day, we headed out on the Great Glen Way. 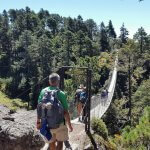 This 79-mile trail along the Calendonian Canal traverses the old tow path, the mountain tops of the Highlands, historic clan territories, and Lochs Dochfour, Ness, Oich, and Lochy. 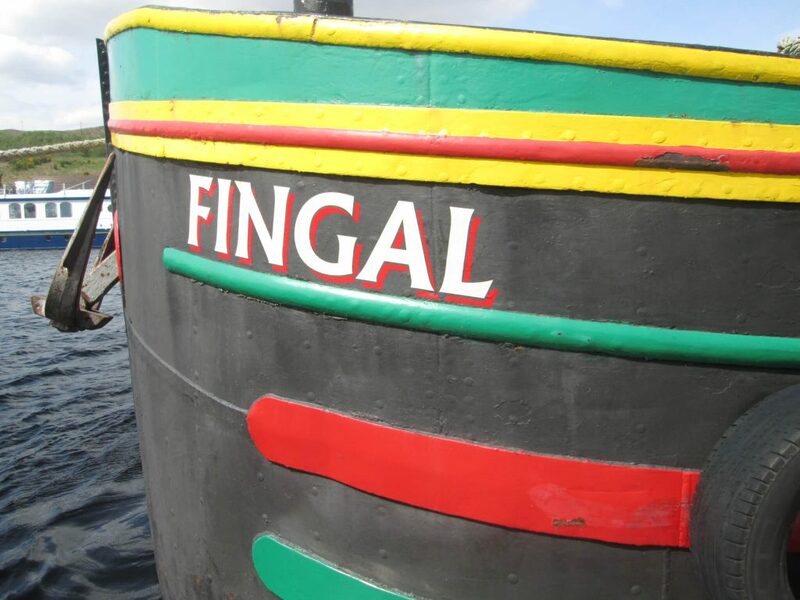 During the day we hiked the trail, and at night we stayed on the Fingal barge from the Caledonian Discovery. The barge slept 12 in 6 rooms, and a 4-person crew full of personality, skill, and finesse tended our every need. Our mornings rose to the smells from Chef Lucy’s kitchen of porridge followed by black pudding, eggs, Scottish bacon and toast. We would then head out to a day of hiking, where Chef Lucy supplied us with boxed lunches (salmon pate and oatcakes! ), and Guide Steve took us through wooded forests, fairy gardens, dark miles, panoramic loch views, mountaintops and meadows. Being from Clan Fraser, he was able to indulge us with Highland stories, treat us to a delicious taste of wood sorrel, and clearly describe historic battles from the Jacobite uprising. Additional narrative signs helped us along the way. 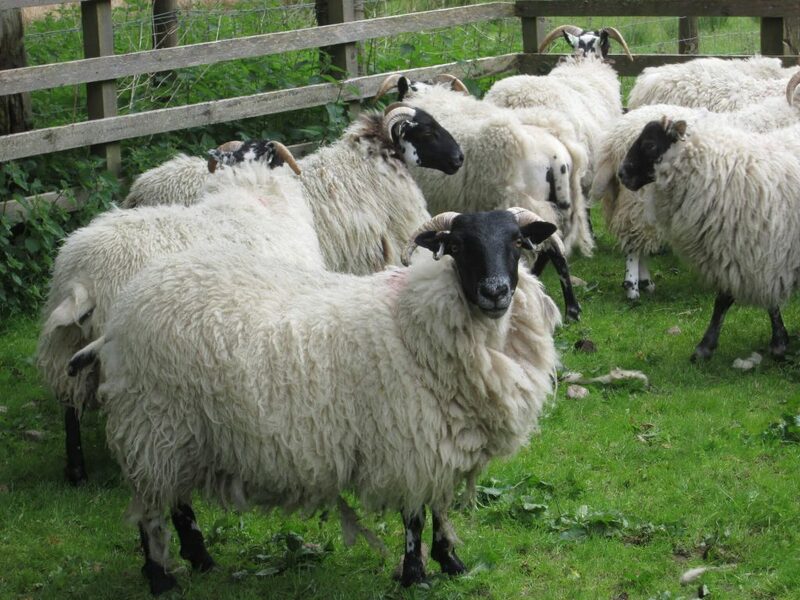 When in Scotland, you must take an obligatory sheep picture! Averaging about 12 miles a day and ranging from 8-15, we’d arrive back at the barge in its new location in the late afternoon, hungry for Chef Lucy’s high tea treats. 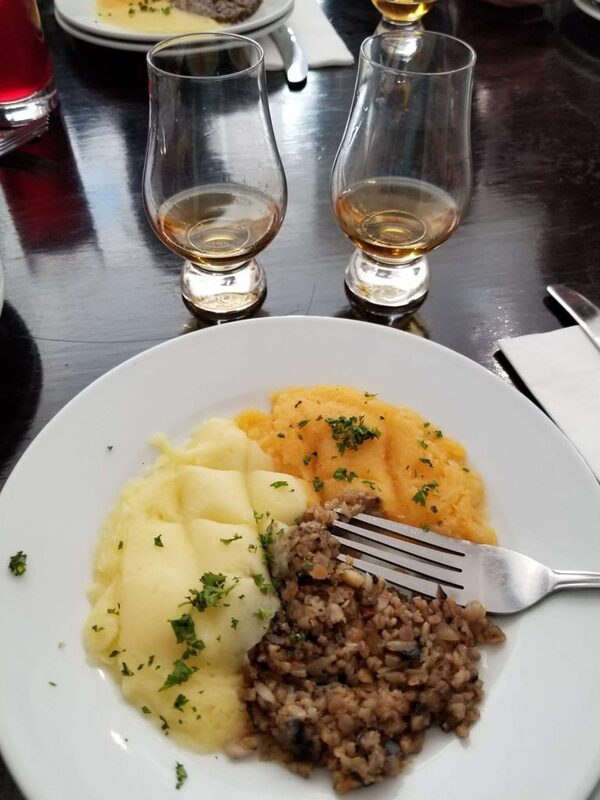 After showers and blister repairs, we discovered Scottish tastes once again for dinner in the form of haggis, Scottish chicken, tatties, neeps, plates of Scottish cheeses, and indulgent Scottish desserts, including toffee pudding with whisky cream sauce. Our hike on the Great Glen Way, done in wind, rain, fog, sun, clouds, and mist, undulated from sea level to around 1500 feet, with 1000 foot climbs in less than 2 miles. Some days were almost completely flat along the tow path, others climbed steeply and traversed an undulating mountain top above the trees. The track varied from hard-packed crush gravel on the tow paths to rich organic matter surrounded by moss. Some miles ambled along dirt roads a Land Rover might enjoy. We passed waterfalls often, but at no time were we walking in mud nor slippery conditions. Some of the downs were as steep as the ups and required hiking poles. From the mountain tops, we could see down the loch valley. Views ranged from dense, dark forest to meadows. At high points, we could see completely up and down Loch Ness, across the Highlands, and along the canal. Several times we enjoyed seeing boats pass through the lock system between lochs, and once we got to ride through them on the Fingal. Passing many castles, including Urquhart, we saw them in sun, mist, and fog. Without wifi most of the week, we disconnected from the world and connected locally. Occasionally we had a few minutes in a port at a local pub where we uploaded and downloaded, but soon returned to the barge. The few port towns we stayed the night moored were filled with tourists hunting for Nessie or enjoying summer boating on the lochs. 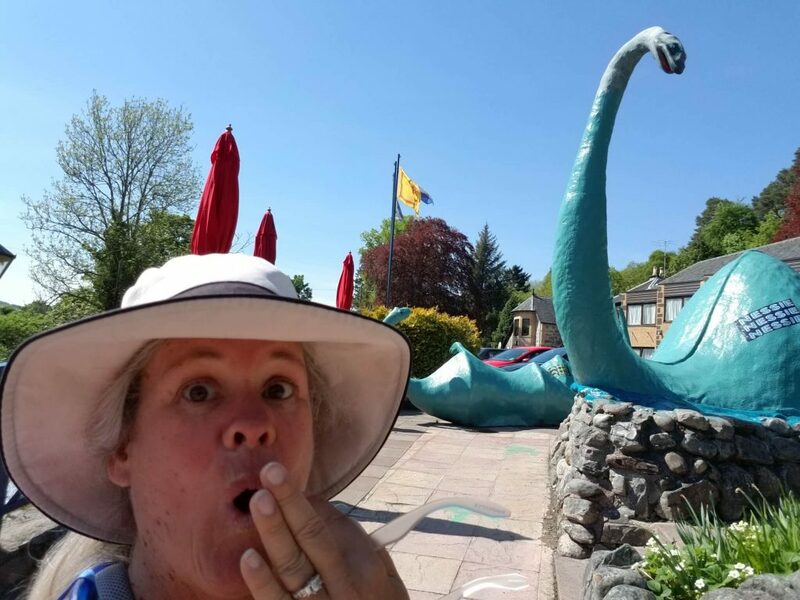 We found Nessie twice. She always manages to appear right before tourist season. She showed herself at Nellieland in Drumnadrochit (“Drum”) and at the Nessie Museum, also in Drum. After six days of hiking, we said teary good-byes to our fabulous crew who had treated us to a grand Scottish affair on the last night, kilts and all. The eleven of us ambled to the Great Glen Way trail end marker near the Inverness Castle, then grabbed some cheap grub at The Caledonian Pub in town. The trip was much richer because I had read the Outlander and the Harry Potter books, among others. The Great Glen Way Official Rucksack Reader Guide, which details the route and elevations, was invaluable. In addition, having the right gear made the trip comfortable and dry. Some days I needed boots, and other days I just needed trail shoes. All days I carried my waterproof jacket with me, where I would occasionally also wear a warmth layer underneath for the 45 degree winds. I couldn’t have been more happy with the performance and comfort of my Salomon X Ultra 3 Mid GTX Hiking Boots, my HOKA ONE Stinson ATR 4 Trail-Running Shoes, my Columbia hiking pants, and my REI waterproof jacket. 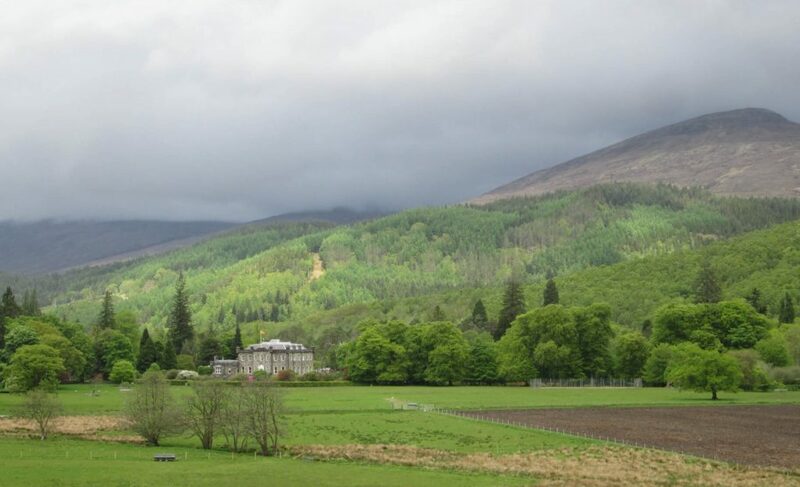 If you’re going to hike the Great Glen Way, what would you want to know? Post pictures of your hike! Chris, there are two of us interested in going in 2019, depending on the dates. Please keep us posted. The Great Glen Way was my first long distance walk! I think it was in 2003! This summer I’m going back to do the John Muir Way (coast to coast in Scotland)! Oh that sounds so much fun. 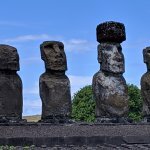 Does John Muir go through John Muir National Park? The John Muir National Park is in the US. I walked the John Muir Way in Scotland…basically a coast to coast walk there. Yes, you are correct. I have been to the National Park in CA many times. 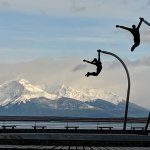 Where is the John Muir Way in Scotland? What’s it like?